After a conversation with some of my blogging pals, I realised that I, and they, have never read anything useful for bloggers regarding tax. So here are a few details. I’ll start with a quick disclaimer. I am not an accountant or trained in this field and you should always contact your accountant for tax advice. This is just my understanding of how everything works.For ages I was confused about how blogging and tax worked together. So many people had different myths and legends to tell as to how tax worked. The main myth being that having a second job means paying a ridiculous amount of tax. Well this post is here to help any of you who are confused and to bust some of these myths and legends. I guess I have done the legal research so you don’t have to. This post is for bloggers, freelancers and anyone self-employed, so I hope it helps! To start with, anything you earn from your blog needs to be taxed. Whether it is a sponsored post, advertising income or a mention on social media, if you’re getting paid, the taxman needs to know about it. It is not worth waiting years down the line and someone knocking on your door and asking you where the £100 is that X company paid you in 2013. If it has been an expense of a company, it is in their books, and the end of that money trail ends with you. Therefore, if it’s not declared, you can’t hide that the transaction took place. For those bloggers who are making a little amount on their blog, say less than £100 a month, it isn’t a huge huge concern for you right now (but keep it in mind), as lets be honest, there are bigger transactions going on to worry about. However, for anyone who is earning a little more than this, per month on average, then you need to start thinking about your options. This is what I have done and what a lot of people end up doing, because this means you can hand over your finances to someone else. They are in charge of your books and can sign off your tax form at the end of the year, and will also be responsible if something goes a little wrong. Accountants can however be a little pricey if you’re not earning a huge amount, yet there are a lot of friends of friends out there who know how to bookkeep and may help you out for a smaller fee. You’re looking at four figures a year for an accountant if you live in a big city, more if you’re a larger business. A friend might help you out for around £200-250 a year, or so I’ve been told here and there. 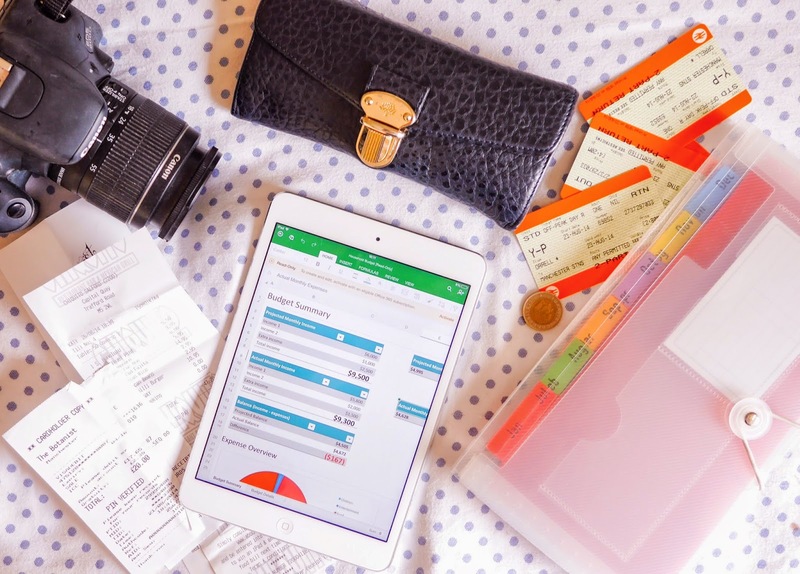 An accountant will often use a piece of software similar to Excel that they use to bookkeep, and will begin to input your receipts and invoices for you. Therefore, most accountants need you to send them your receipts for anything you have been paid and that you have invoiced for, and anything you can expense, such as things you use for work. This includes the new iMac you bought to blog on, the train ride you took to London for an event, the food you ate on the train, possibly even the beauty product you bought to blog about. But don’t quote me on that last one. However, there are a lot of things you can expense which can then be deducted from tax. Also, if you’re a stay at home blogger, you can also claim for living costs at the end of the year, such as extra electricity, lighting etc, as technically your bedroom has become your office. So there are ways to reduce your tax payments. But your accountant can tell you all about these little bits here and there and will help you out to pay as little tax as possible. Also, your accountant can help you to register for VAT savings too. If you choose to turn yourself into your own company, then this has a lot of benefits. Such benefits include paying yourself a salary from your own company and being able to take dividends when necessary (money in your company) that isn’t taxed National Insurance. Any salaries that are taken from the company are charged NI, but dividends are not. Also, as a company, you can put far more expenses through your businesses, for anything deemed necessary for the running of your company.As a company, you will pay 20% tax on your income until you reach £41k, which is when tax rises to 30-40% or so I believe. Therefore, when you have your own company, you pay yourself a salary from your company, which means you can choose how much disposable income you are actually collecting each month. If you start to take more per month, meaning that you are taking over £41k of earnings, then you will begin to pay premium tax rates. Stay below that bracket and you will not. To my calculations, that is around £2600 a month you can earn after deducting a 20% tax rate. You can set up your own company here I believe, or go to see your accountant who will do it for you. Most accountants will recommend becoming your own company if you’re earning a substantial amount per month that would benefit from going through a company. I already have a job, what do I do about my second blog earnings? Okay, the myth is that if you already have a job you’re getting taxed on, then a second job will have you paying premium tax rates. This is not at all true. People moan about having two bar jobs and paying loads of tax, because unfortunately you have to pay tax on both jobs. It’s no more than the usual tax rates. In most cases, these people are just being emergency taxed and will get that money back, but you will only get charged ordinary tax rates on your earnings. So if you earn £18k a year at Topshop and £2k a year on your blog, thats £20k earnings a year which you will be charged 20% tax on plus NI which is around 11% I think. Now, if you earn £35k a year at your job, and earn £6k a year on your blog, that takes you into the realms of premium tax rates, which I believe is 40% tax over £41k. If that happens, then yes you will start to pay much higher tax rates, and thats the time to get yourself a Limited Company I think. But there is no problem with you earning from two jobs and you won’t be punished for having a second job. All the HMRC care about is that you pay at least 20% on whatever you are earning. Whatever you decide to do, it is worth just starting an Excel spreadsheet and start making a note of what you were paid, who paid you, on what date and where they paid into (Paypal or your bank). That just means that you are at least keeping on top of it. 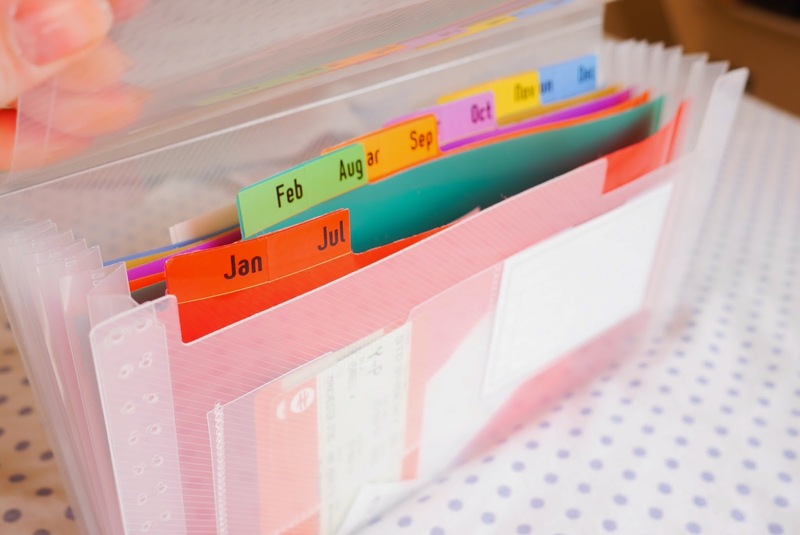 Keep a little organised file with all of your receipts so that you know what you’ve paid out and when. My little organiser can be found here. And make sure everything is extremely organised. If you did want to hand over your books to someone else, its best for the books to be clear and organised so that it will cost you less in accountancy fees.Then at the end of the tax year in April, you have until the January of the following year to file your self assessment forms. You can go onto the the HMRC site and file your own forms and you can also buy software that helps you keep your own books. But, if you’re like me and not great with numbers and quite frankly don’t want the headache, then go to see an accountant and pass over the task to them. If you have any other questions, please comment below and I will expand this post even more to include some more queries. I’m no expert, but having spoken with a number of accountants recently, I’m starting to finally understand this grey area a little better. I truly hope this has helped at least one of you!